Recommended as a biologically active food supplement, an additional source of beta-glucan, prebiotics, spirulina, selenium and vitamin E.
Those subject to extensive emotional strains and stresses, who don’t adhere to the rules of healthy nutrition, have sleep debt or lack physical exercises. Recommended for adults to take 1 capsule per day during meal in the morning with water. Doesn’t exhaust the immunity, but rather nourishes it and promotes its full-scale performance. Unlike most other immune-stimulating products that deplete the body, DiReset acts mildly and smoothly and can be taken continuously irrespective of the time of year. 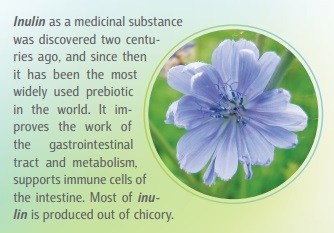 Its powerful formula is based on the unique properties of beta-glucans that stimulate the immunity and produce a detox action. 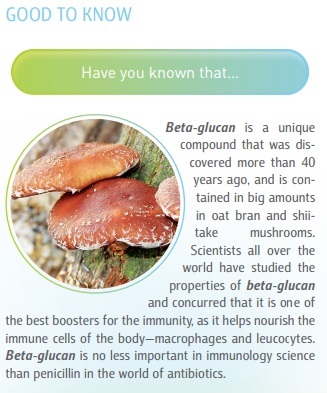 What is so special about the immune-modulating action of beta-glucans is that they activate the immune system without an over-stimulating action.